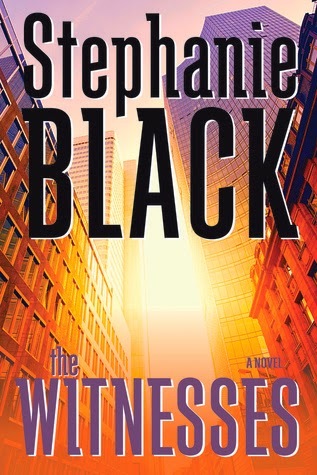 While reading The Witnesses, I kept thinking to myself that the story really seemed like more of a sequel than a stand-alone and I wished that Stephanie Black had told the story of Ian Roshek and his sister that led to the events on The Witnesses first. And then after finishing the book I discovered that she did exactly that! The Witnesses is a sequel to the novel The Believer, though on Black's website, she notes that she wrote it so that you didn't have to read the first book to understand The Witnesses. While that may be the case, I think it would have helped immensely to have the background of The Believer before diving in to this already-created world. More than once characters launched into expository paragraphs that intruded on the narrative in order to fill readers in, but I'm grateful for the intrusions because otherwise I would have been lost! The Witnesses is a Whitney Award finalist in the Speculative Fiction category. The northeast portion of the United States has seceded and become "New America," an anti-religion dictatorship. In New America, "religion was dangerous rebellion, anarchy mutate by insanity, rightfully banned to protect national security." I'm sure that reading The Believer would help, but I didn't really understand the logical leap that banned religion in this new country. Black incorporates teachings from the Book of Mormon as inspiration for the characters who are fighting for their lives, seen as traitors by their country, but also as the impetus for one particular character finding peace and forgiveness for her past actions that cost her family their lives. I'm sure readers not familiar with the Book of Mormon would be a bit taken aback or confused by references to Abinadi and Alma, but it worked pretty well for me, though occasionally, the references seemed a bit forced.